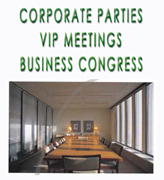 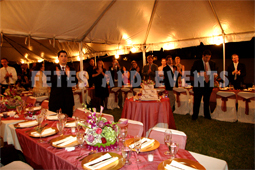 VIP VENUES IN MIAMI - VIP RECEPTION LOCATION FOR YOUR WEDDING our qualified VIP catering vendors will plan your "Miami Perfect Wedding" designing customized menu, helping you to prepare and coordinate with other vendors your "Big Day party" catering accessories rental, professional waiters and deluxe dishes. 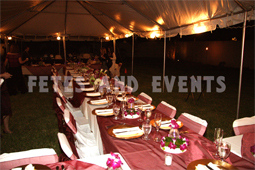 "All included packages" for your wedding and any event!. 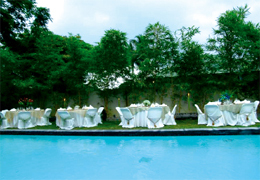 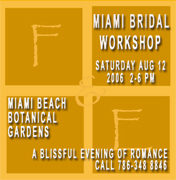 Miami wedding Deluxe receptions place, by Fetes and Events of Miami, offer a complete STRESS-FREE WEDDING experience from wedding and event location selection to budget creation, our wedding professionals will follow and develop your requirements.